You Yangs Regional Park offers a range of distinctive granite peaks from the flat volcanic plains between Melbourne and Geelong, less than an hour from Geelong. It is perfect place for hiking. If you are a person studying in Geelong and think, “Mountains are calling and I must go” (LOL! ), then don’t miss this opportunity to explore this natural beauty. In April 2018 I planned a hike and the sight from the first viewpoint of the You Yangs froze me and my friends, particularly as it was the time of Sunset. I feel lucky that I got an opportunity to study in Geelong where we have heaps of natural beauty and walking tracks, trail running and mountain biking. It offers a fantastic outdoor activity for mountain riders of all ages and ability with over 50 kilometres of iconic trails. The park is also famous for its magnificent views, birdlife, and for bushwalks and picnics. Dogs are welcomed but must be kept on a leash at all times. The park is also equipped with facilities such as picnic and BBQ tables, toilets, disabled toilets and an information Centre near the park entrance. 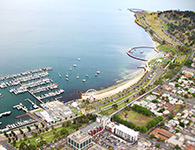 The You Yangs Regional Park is 55km southwest of Melbourne CBD and 22km north of Geelong. Access to the park from the Princess Freeway is clearly signposted via Lara. The Park is open from 8.00am to 4.30pm year round and 8.00am to 6.00pm on weekends and public holidays during daylight savings.